High cortisol levels are becoming increasingly common among modern people. Although there are a few treatments for this condition, some find that medical solutions are not effective. As a result, many people live with high cortisol levels. Living with excess cortisol can have negative effects on health and mood. However, there are many proven, natural ways to reduce levels of this hormone. Cortisol is a hormone that has a variety of important effects in the human body. It is released in response to physical and emotional distress. Although this hormone can be useful in moderate amounts, it can cause a variety of negative symptoms when produced in high levels or over a long period of time. Cortisol is made by the adrenal glands in response to messages from the pituitary gland of the brain. It is naturally higher in the mornings, when it helps people to wake up and start their day. When cortisol is released, the body responds by raising blood sugar to provide more energy to respond to threats. People become hyper and even shaky as their blood pressure and heart rate increase. They may be more aggressive. This response is helpful when we are facing a dangerous situation in which we may need to fight or run away. Over time, however, high cortisol is counter-productive and even unhealthy. Chronically high cortisol is called Cushing’s syndrome. There are a variety of causes. In rare cases, this is caused by a tumor in the pituitary gland or the adrenal glands. Because cortisol affects so many different parts of the body, an excess of this hormone also can have far-reaching effects. Many of these negative effects can be reduced or completely stopped by lowering cortisol levels. There are very few treatments for high cortisol. There are several medications that can temporarily lower levels, including ketoconazole, mitotane, and metyrapone. These drugs all have serious side effects, so they are only used for short periods of time. There are also drugs that can reduce the side effects of high cortisol. Beta blockers may lower blood pressure and heart rate. However, this does not help all of the symptoms or treat the underlying condition. When the high cortisol levels are caused by a tumor, this tumor is removed. However, tumors are very rare so this is not possible for most people with high cortisol. In addition, surgery has very serious risks. Medical treatment is often not a good option for people with high cortisol. However, there are many natural solutions that can help. In many cases, high cortisol is not caused by a biological issue but rather by stress. Several studies have linked high levels of stress and anxiety to increases in cortisol. One study studied the cortisol levels of volunteers before and after writing about a stressful experience in the past. Simply remembering the experience was enough to significantly raise cortisol levels. People who are in a stressful situation probably have a much larger increase in this stress hormone. Deep breathing, on the other hand, is a stress reduction technique that can reduce cortisol almost immediately. People who do things like this throughout their day to reduce stress will have lower cortisol levels. The links between stress and cortisol are clear. Because cortisol is released in response to stress, lowering stress will reduce it. 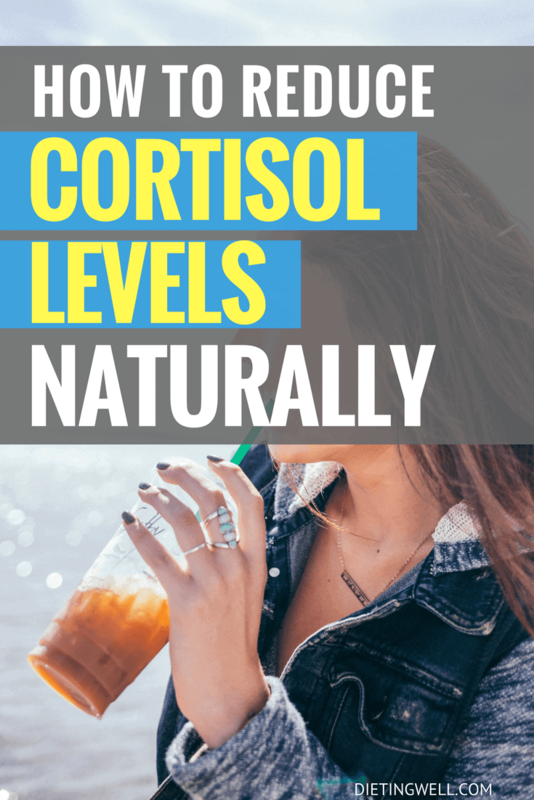 Some natural methods of lowering cortisol focus on relieving stress, although other lifestyle factors can also have an impact. Natural remedies often work when applied on a regular basis. They do not usually have negative side effects. Making healthy lifestyle changes to reduce stress and reduce stress hormones will impact not just your cortisol levels, but your entire life. Mindfulness is the practice of focusing on the present moment. People who practice mindfulness focus on enjoying each minute and accomplishing tasks without ruminating about the past or worrying excessively about the future. Mindfulness has been found in studies to reduce cortisol levels. Many people find music relaxing. Music also can reduce cortisol levels, especially relaxing tunes such as classical music. Some people who meditation, yoga, and tai chi to relax. Several studies have found a measurable change in cortisol levels when performing these activities. These activities also can be physically healthy and teach people how to focus more effectively. Most stress reduction techniques will not work for everyone. Many people try several different things before finding the one that is right for them. It is important to know exactly which activities make you happy and thus reduce cortisol. One of the best ways to reduce stress and thus to reduce cortisol over the long term is to spend more time doing things that you enjoy. In addition, it is important to learn to enjoy the little moments throughout your day. The more you laugh and enjoy yourself, the lower your cortisol will be. Massages and other self-pampering activities lower cortisol levels in many people. In addition, they can reduce aches and pains. This is a win-win for people who enjoy getting massages regularly. Simply being in a good mood can lower cortisol. Nurturing yourself and exploring your passions can help you to achieve and maintain a good mood. Many people in the modern world see this as selfishness, but it is actually very important to lowering cortisol levels and maintaining good health. In some cases, reducing stress and increasing “me time” may require making lifestyle changes. These changes are worth it because high cortisol can have such negative effects on your mental and physical health. It is hard to maintain a healthy circadian rhythm in the modern world. However, getting enough sleep is crucial to lowering cortisol levels. Sleep deprivation raises cortisol levels. The body likely increases stress hormones because these will help to keep you awake. Even brief awakenings can increase cortisol levels for up to 24 hours. It is also important to try to sleep at roughly the same hours every night. Changing the times when you fall asleep and wake, such as when working rotation shifts, can increase cortisol levels as well as having a variety of other ill health effects. The stress of modern life as well as the lights and screens around us all can make it difficult to develop a healthy sleep schedule. However, this is a very important part of a healthy lifestyle. Exercise can either increase or decrease cortisol levels. The effect on stress hormones depends on the level of intensity. Intensive, aerobic exercise initially raises cortisol. However, this initial increase is followed by a long dip in hormone levels. As a result, intense exercise can reduce cortisol levels overall. In fit people, the initial increase in cortisol levels seen after intensive exercise is lower. Being fit appears to reduce the stress of a hard workout. Both mild and moderate exercise do not cause this increase. Cortisol levels are stable immediately after the exercise. However, there is a long term decrease similar to that seen in high intensity exercise. If you want to reduce cortisol, it is important to get plenty of exercise. To prevent the immediate bump in cortisol levels, get in good shape before moving on to high intensity exercise. This exercise will also help you to sleep better at night, lowering cortisol by another mechanism. One of the most important things a person can do to reduce cortisol is to have healthy relationships. Having close connections to both humans and pets is important to having a healthy life. Having a stable and warm family can measurably reduce cortisol levels both short term and long term. Having a great deal of family conflict, on the other hand, has exactly the opposite effect. Support from a loved one or partner also can decrease cortisol. Many people find they have less stress (and thus lower cortisol) when they are around a person who is loving and non-judgmental. Close relationships do not always come in a human form. Close relationships with pets also can lower cortisol. In fact, studies have found that pets can reduce cortisol even more than close friends. Keeping a healthy diet is very important in reducing cortisol levels. A healthy body is less stressed than an unhealthy one and thus will produce less stress hormone. 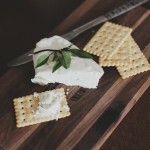 In addition, there are specific foods that can affect cortisol levels. Eating too much sugar triggers the release of cortisol. If you feel like a sweet snack, consider eating dark chocolate instead, as this contains compounds that lower cortisol levels. In addition, eating sugar can contribute to diabetes and metabolic syndrome. Because people with high cortisol levels are prone to these diseases, sugar should be avoided whenever it is possible. Instead, reach for high protein foods and foods that have a low glycemic index. Fruits are sweet, but they do not raise cortisol. In fact, eating fruit can have the opposite effect, lowering cortisol and other stress hormones. This is a healthy way to enjoy something sweet while lowering cortisol levels. Both black and green teas can reduce cortisol levels. These drinks also have a variety of other health benefits. Enjoying tea in the morning instead of coffee may lower your stress levels throughout the day. In general, eating a healthy and balanced diet without a lot of sugar is the best option if you want to reduce cortisol levels. This kind of diet also will support good health in a variety of ways. There are several supplements that have been shown in research to help lower cortisol levels. Fish oil is known for its anti-inflammatory effects. However, the healthy omega-3 fatty acids in fish oils also can reduce cortisol levels. Ashwaganda is an Asian remedy that has become popular in the Western world recently. In addition to its other positive health effects, it appears to reduce cortisol levels. The effects have even been shown in people with chronic, long term stress, which is often the most difficult to treat. Ginseng is another Asian remedy that has been found to lower cortisol. This is due to the root’s role as an adaptogen. The reduction in cortisol is most likely the reason for ginseng’s anti-aging effects. Natural remedies are often the best choice in lowering cortisol levels. In addition, these tips all will contribute to a healthy lifestyle in general. Many people will need to combine several of these suggestions in order to get the effects that they desire. However, the effects on your whole body health will be more than worth the effort.